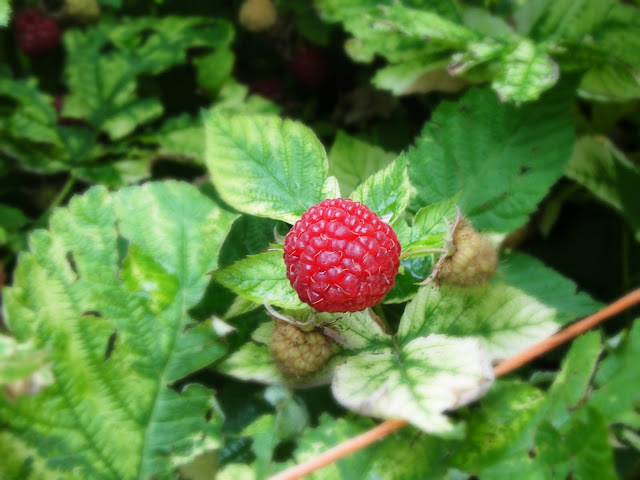 Monday was the opening day of U Pick Raspberries at a farm not far from home. I took the kids to pick strawberries at the same farm last summer but we missed the short strawberry season this summer since I was in Boston at the time. 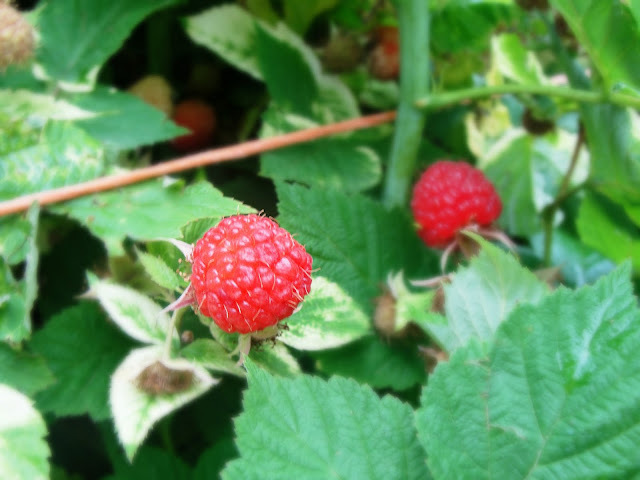 I have been anxiously awaiting raspberry season to get my U Pick fix for the year. I have an odd affection for picking my own fruit on other people's farms. I don't try to understand it-it just is what it is. There's just something so rustic and homey about it. My Martha tendencies get to shine through in all their glory. Ahhhhhh....contentment. I literally dragged my sleeping children out of their beds at the crack of dawn so we could get there as soon as it opened. Mostly this was to get out there before the ungodly heat had a chance to reach it's full potential and ruin the experience for us-but also it's cause I may have worked myself into a bit of a frenzy with a strange inner dialogue that insisted all the best raspberries were going to be gone if we didn't get there before 9am. I'm telling you-my psychosis around fruit picking runs really deep. I'm just as baffled by it as you are. Trust me. Mr. Man loved the challenge of digging deep into the thorny bushes to find the best berries. Miss Thing was very engrossed in the process for about 9 minutes until she got hot and bored and whiny. She gets that from me so I can't really complain. Also she insisted on picking only the tiny, unripe berries because they were "so cute." I love her. Ooooh! Look at them in all their lovely, juicy, raspberry-ness! Fun with photo editing...would it be weird if I framed this and put it next to my bed? I know, I know...I need to cool it with the love of berries weirdness. More gratuitous raspberry shots. There's a talented photographer stuck inside me just trying to get out. That's all I have to say. Back at home with our bounty. The boy and I made the most amazingly wonderful Raspberry Chocolate Chip Struesel Muffins. Oh my goodness...my house smelled like heaven for the rest of the afternoon! They were so, so good (if I do say so myself). Here's the recipe if you're interested. I followed this exactly but I added a half a bag of chocolate chips along with the berries (I doubled the recipe so you may want to use a quarter of a bag or so if you don't). 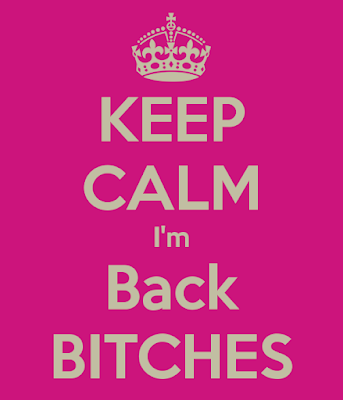 Now I must go and attempt to clean my house before my sister and nephew arrive from Illinois. They lost power due to severe thunderstorms last night which equals no air conditioning which means they're staying here until they have power again because the heat is showing no signs of relenting any time soon. The temp is supposed to get up to 100 degrees today! I have two more pints of raspberries left....who has a raspberry recipe to share? Anyone? I know you're there...Blogger tells me so....make today the day you comment! You know you want to! I desperately need your favorite raspberry recipes! I love, love, love berries! Blueberries, raspberries (who put a "p" in the spelling? ), strawberries ... berries. I also really love juicy peaches. The kind that drips down your chin to your arm to the floor after taking a bite. If I had a recipe or two, I'd share them. But the truth is, I can't cook. Maybe it's won't, but I'll stick with can't.